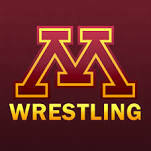 A reminder that the ZM Wrestling Camp starts Monday and will host Gopher wrestlers Kevin Steinhaus (June 2nd & 3rd) and Dylan Ness (June 4th & 5th). Don’t miss out on this great opportunity. The 5002 Club is back! This is the fourth year of the summer/fall program for our youth. In the first 3 years, we had 11, 13, and 15 kids participate respectively. You can download the 2014 5002 Club schedule and information here. Check out the members from 2013 being introduced at the first varsity dual. Five ZM wrestlers participated in the MN/USA State Greco-Roman and Freestyle Tournament this past weekend. Caden Steffen of Zumbrota placed 1st in both styles and won the triple crown award for winning 3 state titles. He previously won the MN/USA Folkstyle title. Also placing were Ryan Lexvold (2nd/3rd) and Michael Majerus (4th/4th). Also competing were Luke Tupper and Hayden Stensland. If possible, have checks to Link Steffen’s house (353 East 9th St. Zumbrota) by Thursday 22nd. Checks will be deposited Monday 26th. Saturday, 5-24, time and place TBD, Several wrestlers are planning a run/workout. Expect 30-45 minutes of aerobic activity in preparation for upcoming camps. Bring running shoes. Four open mats will be held in the Mazeppa wrestling room starting this Sunday as an opportunity to prepare for upcoming camps and stay in touch with wrestling. This is not mandatory and is open to all wrestlers K-12. If you are bringing a younger wrestler, be sure they have a partner before coming. There will be some conditioning, live wrestling, and technique involved in these sessions. Chase Steffen will be supervising. Saturday, May 24th & 31st. The wrestlers will be getting together and doing some distance running and sprints in preparation for the ZM and Cobber camps. All 7-12 wrestlers are welcome to attend. Time TBD by the captains that is least intrusive for most upperclassmen.